As a high income professional, you need objective, evidence-based financial advice, not just product recommendations. 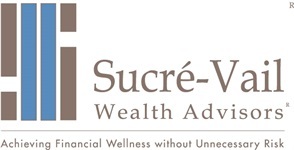 At Sucré-Vail Wealth Advisors, we’re structured specifically to offer comprehensive advice to high-net worth families and business owners. We understand your concerns and challenges. Our team has been using our experience, resources and strategic partnerships for over two decades to help high income investors maximize their financial health. As a completely independent firm, we are not tied to any specific products or solutions, and we don’t report to a corporate office. We’re free to simply provide you the best independent advice possible. When you’re busy with your business or practice, it can be very difficult to keep your eye on the big picture. By working with Sucre-Vail Wealth Advisors, we act as your coach to help you define and stay on track for what you want most in life. 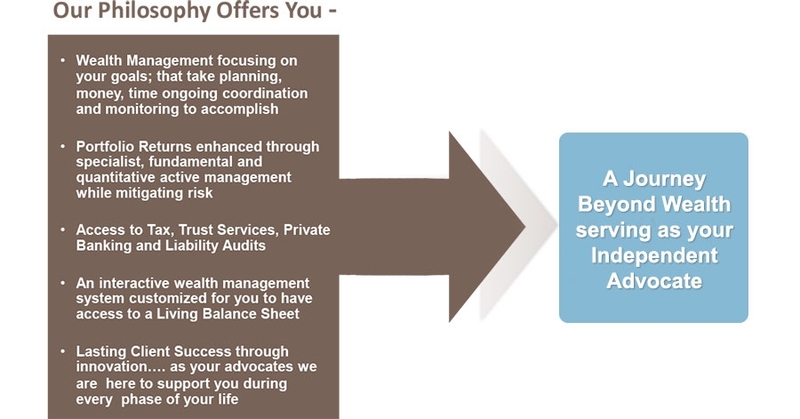 We work to harmonize your life and your wealth by ensuring each component of your financial plan is aligned. While we certainly offer traditional financial programs focused on the five pillars of our investment philosophy – asset allocation, portfolio construction, manager selection, continuous monitoring and tax management – we realize that investing is only one piece of your financial life. That’s why we provide you with a full-service process that encompasses many other aspects of your complex financial life.